When you have a car for sale in Ipswich look no further for a buyer! Cash for Cars Ipswich QLD pays cash for cars of any make and condition. Get a quote from us by giving us a call at the number below. 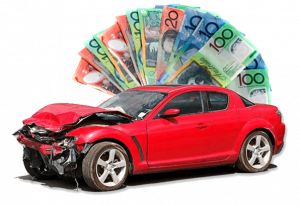 With Cash for Cars Ipswich Qld, your car can be in any condition, and you will get a fair price for the car. We are car buyers that buy all makes and conditions. So, why would we want to pay you cash for an old, wrecked, or damaged car? Perhaps, one that has deteriorated to scrap condition? If we can’t resell the car, we will recycle it for its metals. With us, there is always a way to get cash for the sale of your car of any make and condition. We love to be the car buyer in Ipswich that provides car owners with the quickest way to cash for the sale of their cars to us. Our business is buying cars, and it’s a business that we love. Get top cash for your car with us. Call for a quote today. Sell your car to us, and a Free Car Removal is included. With Cash for Cars Ipswich QLD, we buy & remove cars at times convenient for the sellers. Perhaps, you have just accepted our cash quote and want to be counting the cash for the sale of your car to us within a few hours of accepting our quote. We’ll be there in a few hours to buy and remove your car. There are no hassles with us; we come to you to buy & remove your car at no costs. Get quality services that are a way to a fast and profitable sale for your car in Ipswich. At Cash for Cars Ipswich QLD, we recycle old, damaged, and scrap cars Ipswich. We know the value of the metals of cars. We are such experts in cars and metals that we know the metals of every type of car, so there is always a fair cash price for the car. Since we are expert car recyclers, you get cash for recycling your car with us and are assured of eco-friendly car disposal. Recycling cars leave the smallest carbon imprint on the environment. Go green with us and get paid for it! Schedule a Free Car Removal Ipswich. When we buy cars, we are the car buyer that creates a carefree way for you to sell your car. And, receive top cash for it! You don’t have to worry about fixing the car, cleaning and polishing it or even about the paperwork. We take care of it all! To obtain a cash quote for the car for sale, contact Cash for Cars Ipswich QLD at the number below. We make fair offers for all makes and conditions. For an online quote, fill out our “Get Instant quote” form at the top right of this page.